Basements add space, function to your home, and can sometimes serve as shelter from severe weather conditions. While remodeling your basement can be a challenge, it will improve your home’s overall functionality and aesthetic value. Are you planning to breathe new life to your home décor? Working on home remodeling projects makes for an ideal solution. Hello and welcome to our blog section. Nova Remodelers is committed to providing homeowners with the best home remodeling and renovation projects in Fairfax and the surrounding areas. We have over a decade of experience, and in our upcoming blog posts, we’ll share this knowledge and expertise with you. In this inaugural blog post, we want to talk to you about our services and why it’s a great idea to work with us. There is a trend in more composite decks being built. Homeowners seeking a lower-maintenance deck option, are loving the idea that they won’t have to wash and seal their deck. Composite decks are also less likely to splinter, warp, and crack. Multi-level decks, which have been a growing trend with wood decks, are becoming more popular with homeowners who are building composite decks. Multi-level decks are different from multi-story decks; multi-story decks usually have two separate entertaining areas, whereas multi-level decks allow easy transition between the main decks and the different levels. Gray decks are gaining in popularity, due in no small part to being featured in home and garden tv shows. In response to this popularity, composite deck manufacturer Trex released a beautiful new gray color “Island Mist” last year. There’s been added interest in two-toned boards and patterns. With the release of additional colors from composite deck manufacturers, homeowners are able to create patterns and interest with multiple brown and gray hues. Following another trend in wood decks, composite deck builders are taking advantage of the malleability of their composite boards, and creating curved decks. They look great, and curved decks are so much easier to create with composite decking than with wood decking. Guess who lists decks as a top ten must-have when searching for a home? Millennials, according to the National Association of Home Builders’ (NAHB) most recent housing study. What’s more, these young consumers (born 1980 or later) indicated a greater preference for outdoor amenities, specifically, front porch, patio, and deck, than did any other generation surveyed: Gen X’ers (born 1965 – 1979); Baby Boomers (born 1946 – 1964); or Seniors (born 1945 or earlier). The older generations did include exterior features on their lists; however, concern regarding interior features increased as did the age of the homeowners surveyed. 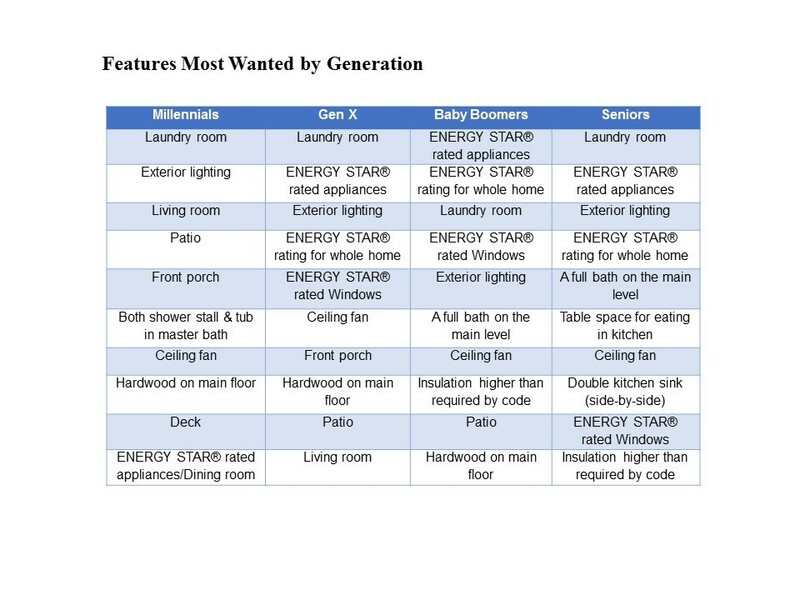 For example, while Gen Xer’s listed exterior lighting, front porch, and patio as preferred amenities, the baby boomers listed only exterior lighting and patio. Seniors named outdoor lighting is their top exterior priority. Among the top interior features listed as must-haves: laundry rooms and Energy Star®-rated appliances. Get all the details here. If you’re considering adding a deck, patio, or porch to your home, consider low-maintenance, eco-friendly decks from Nova Remodelers today!